Listuguj received a special guest during the Powwow weekend. Perry Bellegarde, the Assembly of First Nations National Chief, came to the community for the first time and delivered a vibrant speech at the Powwow. 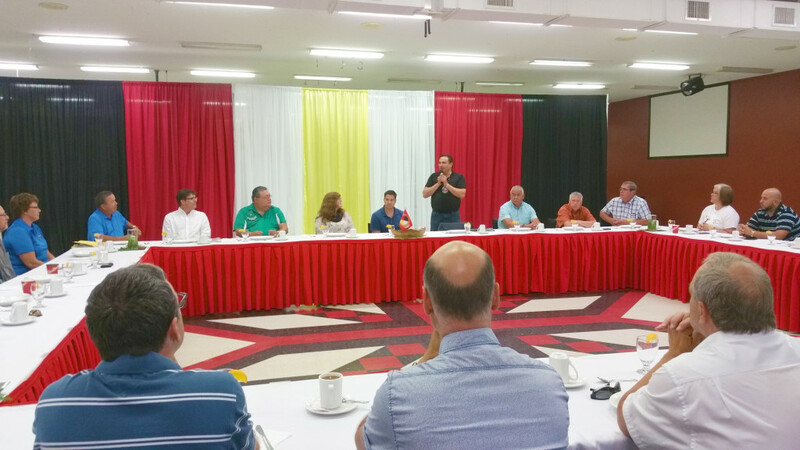 His visit started with a breakfast at the Community Center (Bingo Hall) where LMG Councillors, Directors, Gespeg Chief Manon Jeannotte, as well two members of Parliament from the region, Hon. Remi Masse and Rene Arsenault, Campbellton Mayor Stephanie Anglehart-Paulin and N.B. Aboriginal Affairs Secretariat, Patrick France were all in attendance. There were several presentations during the breakfast. Councillor Lloyd Nicholas, Alcon, Officer Trapper Metallic and Chief of Police Peter Arsenault from the Listuguj Police Department spoke on the difficulties that the department has been experiencing due to a lack of funding and the tiring amount of hours each officer endures. There was also an announcement of a 100,000$ funding grant from Aboriginal Language Initiative Program from Heritage Canada to help with revitalizing the Mi’gmaq Language in Listuguj. 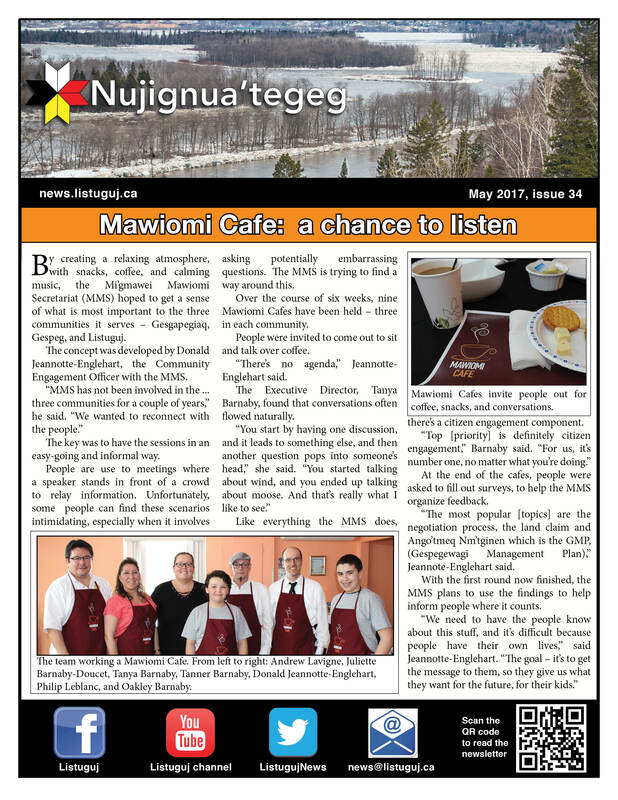 This support will help the different efforts of the community to create awareness on the Mi’gmaq language situation, provide classes, stimulate the use and transfer the knowledge of the language to the non-speakers. After the meeting, the dignitaries went to the Powwow grounds for the Grand Entry where Chief Bellegarde wore his tradition Plains Cree headdress. 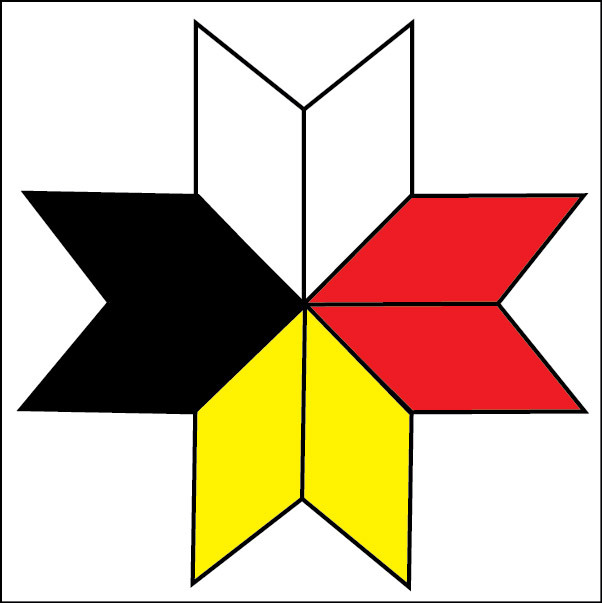 The National Chief, elected in December 2014, is from Little Black Bear, Saskatchewan. The morning started off with a blue sky bursting through what little clouds we had, a beautiful day to Powwow. After the Grand entry National Chief Bellegarde spoke about the importance to preserving identity despite the centuries of oppression and struggles for First Nations. ‘We are alive’ he told the crowd that applauded him. He took the time to thank Lita Isaac and the Powwow volunteers, dancers, drummers for their efforts to bring people together every year. After the morning’s events finished, Mr. Bellegarde gave an interview on camera to Nujignua’tegeg (see our Youtube channel) before leaving to Eel River Bar for a Sweat Lodge ceremony.